A new paperback edition of this critically acclaimed book, which highlights the impact the developments of the 20th century have had on the landscape and gives us a new angle on the industrial, military, domestic and agricultural influences at work around us. Motorways, airports, tower blocks, power stations, windfarms; TV and the internet, easy travel and shrinking distances; business parks, starter homes and vast shopping and leisure complexes. All of these helped define the later 20th-century world and their material remains remind us of the major changes brought about through innovation and rapidly developing technology. 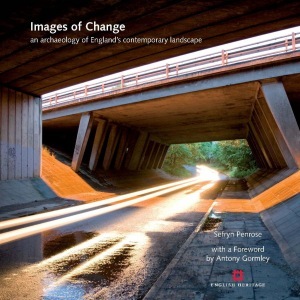 Illustrated with striking aerial and ground photographs of some stunning and sometimes surprising 20th-century landscapes, Images of Change highlights for perhaps the first time the impact the developments of the last century have had on the landscape and gives us a new angle on the industrial, military, domestic and agricultural influences at work around us. By turns dramatic, beautiful, perhaps even shocking, the images and accompanying text will convince that the later 20th century should not be seen as an age that has devalued or destroyed what went before. Understanding how the 20th-century landscape is perceived and how it connects to the past is part of what this book is about – helping us to understand that change and creation is as important in the landscape as preservation. We recognise and celebrate the process of landscape change for earlier periods – the 20th century should be no different.